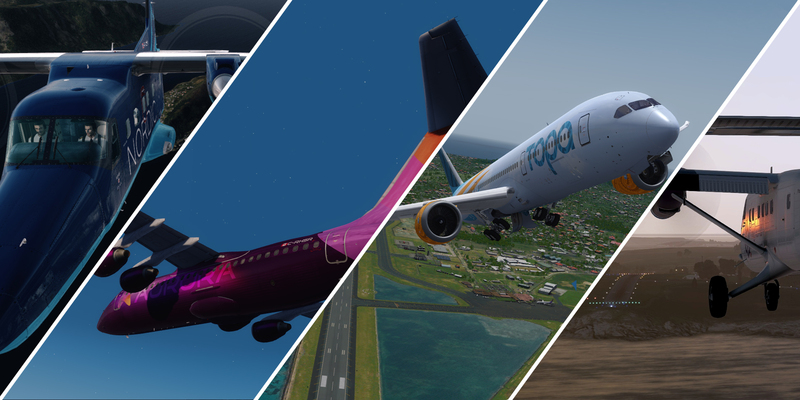 Fly UK is a leading International Virtual Airline for the Flight Simulation community. 11, Apr 2019 - Be in it to win it! Gateway to the magnificent islands of the Territory of American Samoa. Lying south the Equator, American Samoa is the most southern point of the United States domain. Like no other islands in the South Pacific, your first glimpse of the main island of Tutuila as the sun rises from the east are of the rugged mountain peaks covered in pristine tropical rainforest, jutting out of the Pacific Ocean. The National Park of American Samoa is the only US National Park south of the Equator, offering challenging and dramatic hiking trails to historical sites, secluded beaches and villages. Fagatele Bay National Marine Sanctuary is one of only 13 conservation areas throughout the United States. From hiking the tropical rainforests, to swimming, snorkeling, diving or fishing our surrounding ocean waters, American Samoa is an eco-tourism haven and undiscovered holiday paradise. Pago Pago can be reached within the Topa Sky network with flights from Wellington and Christchurch. Topa Sky also operates daily Caravan flight in the Samoa area. Beyond our core FlyUK Mainstream and Fly2 UK based operations, a wealth of choice awaits pilots within our franchise network. Choose from our own UK based Highland Connect services to the islands and highlands of Scotland, rugged beauty of Alaska and the Pacific Northwest with Aurora, Nordic Sky serving Norway and Scandinavia or seek life down under with Topa Sky serving Oceania. For a different experience why not try our Cargo division offering different destination choice and shorter flight with heavy types. Set up to mirror a real world cargo network, choose from our 757F fleet serving mail and parcel contracts to the heavy haulers include 777, 747-400 and 747-8 freighters. Based out of London Stansted.